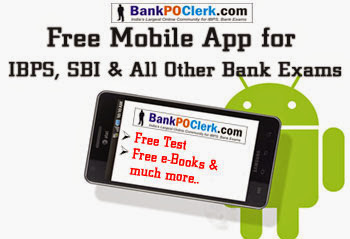 Free Mobile App for Bank, IBPS Exams | BANK EXAM PORTAL : IBPS, SBI, PO, Clerk, IPPB, Bank Jobs Aspirants Community. The BankPoClerk app for IBPS Clerk, PO and SBI PO exams, is a set of 7 Test & 9 eBooks based on the pattern of the bank exams conducted by IBPS and SBI. This App also provides 1 free eBook and 1 free test.